Creating a new car can be a complex thing. 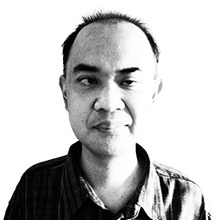 It’s usually a tug of war between design and engineering. You can have stunning looks that aren’t exactly practical, or a vehicle can operate as efficiently as possible yet look really hideous. 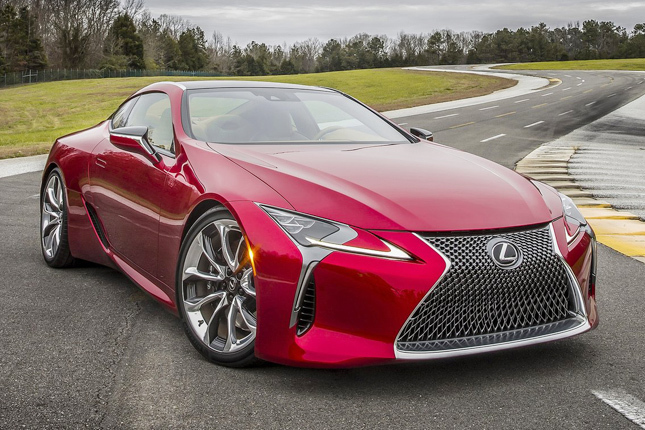 Lexus seems to have solved this dilemma by allowing both its engineering and design teams to work closely together, and come up with one of its most fascinating cars to date. The fruit of this union is the all-new LC500 sports coupe that debuted at this year’s North American International Auto Show in Detroit. 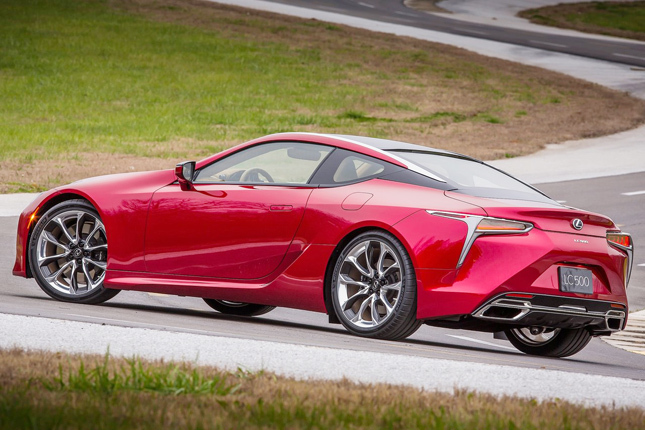 By the way, this car is the production version of the LF-LC that first saw daylight at the 2012 NAIAS. 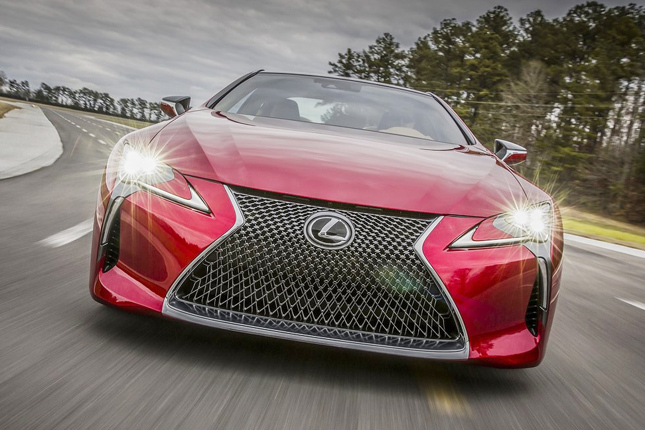 The front end features a new interpretation of the trademark Lexus spindle grille, now with a 3D mesh effect. 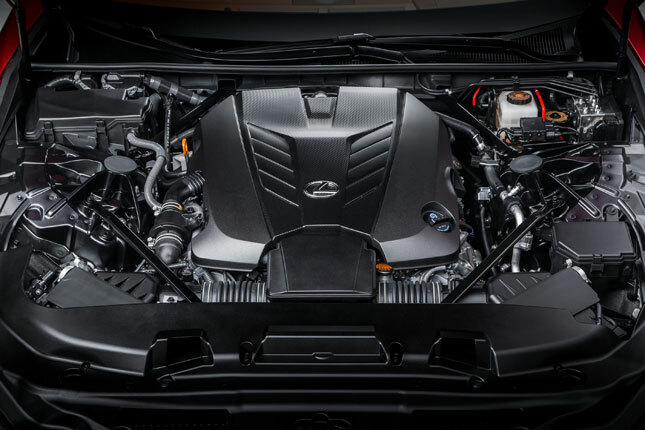 This cool styling cue is flanked by a very thin pair of LED headlights, and L-shaped daytime running lights. The side boasts athletic shoulders and a low-slung profile. 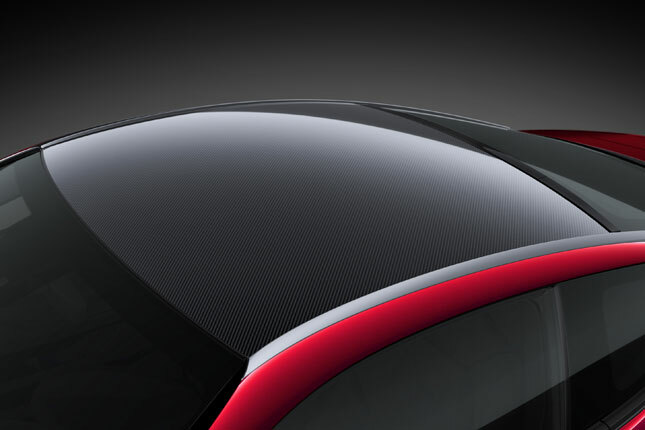 The roof can even be had in either glass or carbon fiber, while the rear is characterized by a diffuser and an active spoiler for a truly sporty touch. The look is finished off by 20-inch wheels that can be upgraded to 21-inchers. 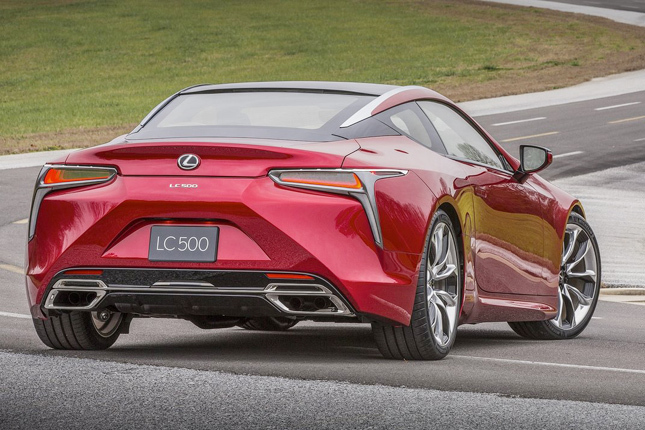 If the LC500’s styling is appealing, then you’re in luck. 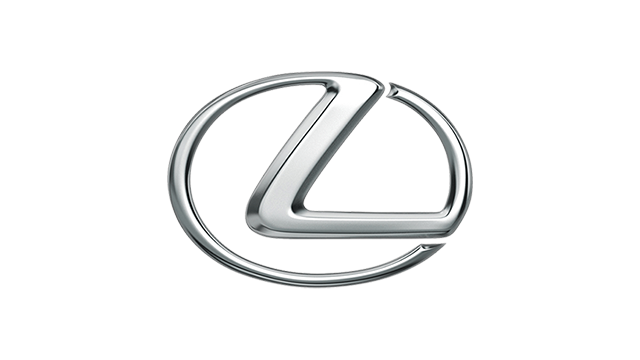 This is the new direction that Lexus is taking. Beyond the metal, Lexus is likewise fielding its new premium rear-wheel-drive layout for the first time. The platform forms part of the global architecture for luxury vehicles that is set to underpin the brand's future cars. Here, the passenger cell, the engine and other vital components were placed near the center. This translates to a more even weight distribution for better handling. Needless to say, ride comfort is still present. Apart from this, carbon fiber was used extensively in places like the trunk floor, the doors and the roof. Finally, a truly stiff body that is more resistant to bending assures lightweight yet rigid construction. In short, you get a car that handles like a true sports car yet can still be comfortable when you want it to. 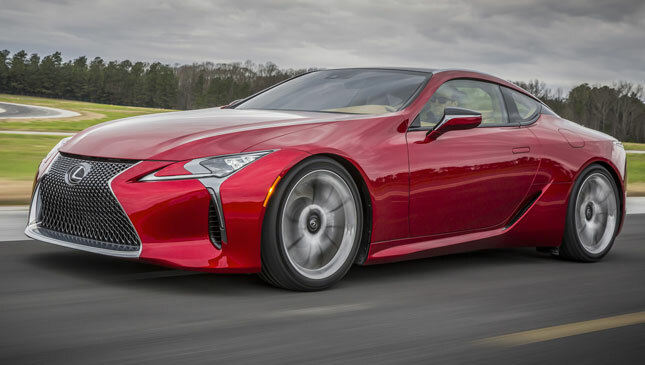 Driving the new LC500 is the proven 5.0-liter V8 motor that is found in the RC F and the GS F. This beastly sounding lump puts out 467hp at 7,100rpm, and 527Nm at 4,800rpm. Power is transferred to the rear wheels via the world’s first 10-speed (yes, 10!) 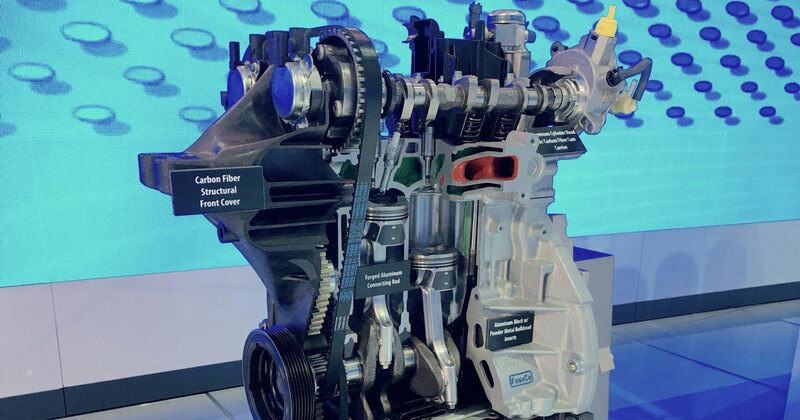 automatic gearbox. This allows the svelte four-seater to blast to 100kph from rest in under 4.5 seconds. 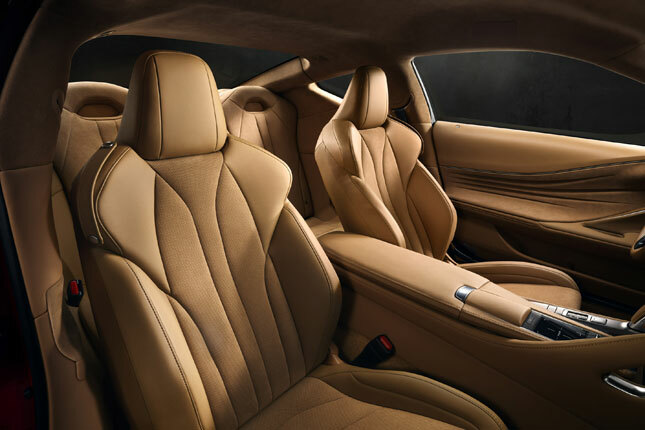 In true Lexus style, the interior promises to be an inviting place for occupants. 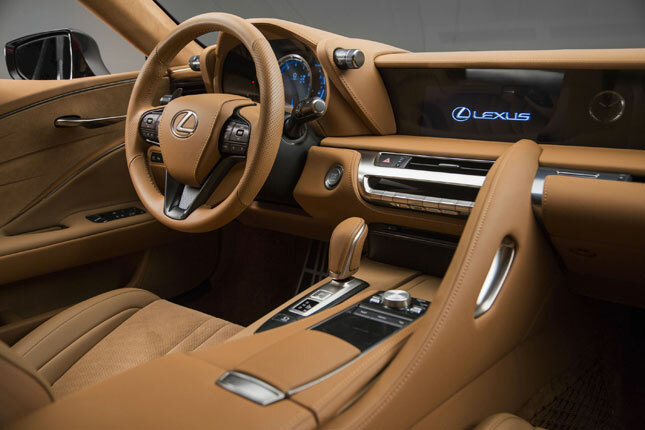 The LC500 will feature the new Lexus Multimedia interface, a system that will possess true usability and stunning graphics. Apart from sight, sound will also be an integral part of the equation. Mark Levinson, together with Pioneer, will provide the ultimate in listening pleasure. The LC500 is set to go into production by next year. And according to the big bosses, this car is just the beginning. Bring it on, Lexus!